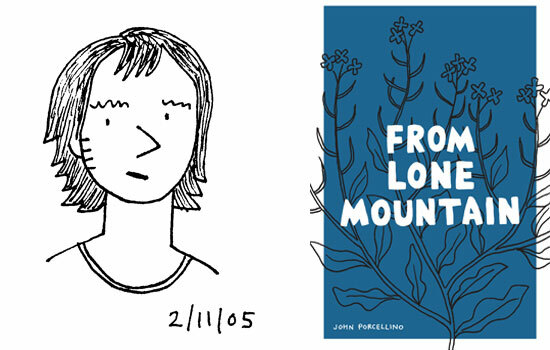 John Porcellino, author of the comic book <em>From Lone Mountain</em>, will do a reading and signing April 10 at RIT. Two speakers will share the inspirations behind their comics during talks at Rochester Institute of Technology in April. The readings, discussions and signings are a part of the Comics Studies Lecture and Workshop Series, hosted by RIT’s School of Individualized Study. John Porcellino, author of From Lone Mountain, will do a reading and signing at 5:30 p.m. April 10 in the Bamboo Room (2610), Campus Center. Porcellino has been writing, drawing and publishing minicomics, comics and graphic novels for more than 25 years. He is most noted for the self-published series King-Cat Comics and Stories, which began in 1989. In his new book, From Lone Mountain, Porcellino collects stories from King-Cat and shows America from small towns, rural roads and overlooked in-between places. For more information on Porcellino, go to www.drawnandquarterly.com/author/john-porcellino. 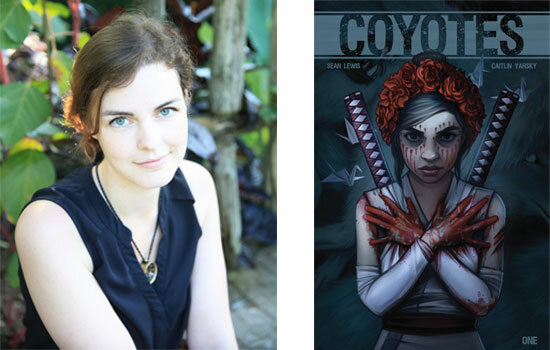 Caitlin Yarsky, artist for the Image Comics series Coyotes, will hold a discussion and signing at 4:30 p.m. April 19 in the Bamboo Room (2610), Campus Center. Yarsky, a 2008 graduate of RIT’s illustration program, works with writer Sean Lewis to create the gritty-thriller Coyotes. In the comic, Red, a 13-year-old girl with a katana blade, and Detective Frank Coffey work together to figure out why a legion of wolves is making women go missing in their city. For information more about Coyotes, go to imagecomics.com/comics/series/coyotes. For more information about the lecture series, contact Daniel Worden, a comics scholar and faculty in RIT’s School of Individualized Study, at dxwind@rit.edu. Caitlin Yarsky, artist for the gritty-thriller comic series Coyotes, will hold a discussion and signing April 19 at RIT.